Why settle for someone else's choices when you can select your favorite cabinets, counter-tops, appliances, carpets and flooring? While you're at it, you can choose gorgeous bath and kitchen fixtures, lighting and other options that you love. Your new home will reflect your style, not someone else's taste. Want a master bedroom on the first floor? It's yours. Massive his and hers walk-in closets? Done! High ceilings and a luxurious, resort-style master bath? Absolutely! Perhaps you'd like a sitting room with a fireplace in your owner's suite or doors that open to your private patio or the pool? It's easy, when you build your master suite your way. A used home may have tired products that may soon need replacing. 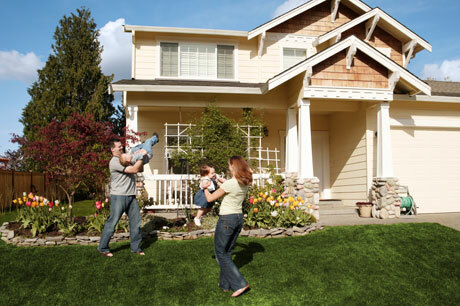 Your new home — and the products that comprise it — are brand-new and under warranty. What's the cost to replace a roof, appliances, counter-tops or a water heater on a used home? Those components of your new home feature the latest designs and building materials and should offer you years of comfort and enjoyment before needing replacement. Most of today's new homes are far more energy efficient than homes built just five years ago. Versus homes built 10 or 20 years ago? It’s not even close. Why settle for higher utilities if there is a less expensive option. Today's new homes meet stringent energy standards and codes not in place in the past. They combine high-performance energy efficiency with state-of-the-art ventilation and air filtration. The result is year-round, draft-free comfort and higher indoor air quality. New cars today are computer-designed and computer-equipped. That's why they perform much more reliably than a car that's 15 or 20 years old. Homes are the same. Today's new homes have open floor plans and high ceilings that reflect the way we live today. They're also made of cutting-edge building products that require less care and maintenance. Another plus? The latest building systems and components are designed and engineered to work together. It's possible to replace all of the single-pane windows in a resale home with today's high-performance windows. It's also possible to add insulation to a used home. However, it's very expensive to replace dated appliances, cabinets and counter-tops in a used home — and you still won't have the high ceilings you dream of on the first floor of an older two-story home. All are reasons to build your new home your way, to reflect the way you live today. A used home was someone else's dream, not yours. It reflects their choices and family memories. You may learn to love avocado-green appliances (and you may be willing to scrub stained counter-tops or grease-encrusted ovens and cooktops) but more and more people prefer that never lived-in feel. New homes offer the latest designs, style, comfort and quality. They provide a care-free lifestyle so that you can enjoy your home, not work on it. Start shopping now and contact the Big Man now to get started.